A family of seven on board a small plane were killed when it crashed in Alabama after an engine failed - leaving behind a teenage daughter who was too sick to fly, authorities said. The Teutenberg couple and their five young children were returning to Florida from a family reunion in St. Louis, Missouri, on Saturday night when the crash happened, authorities said. 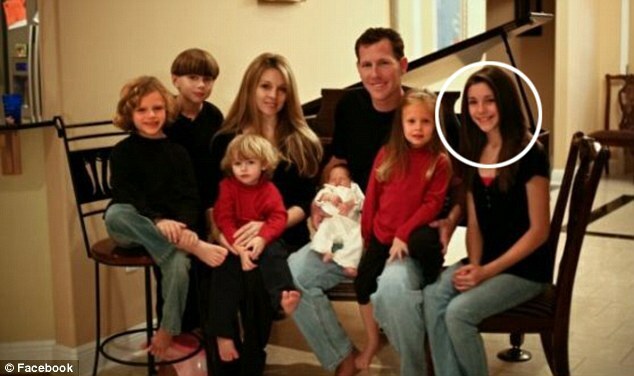 Fred and Terresa Teutenberg died, but her oldest child, Ashlei Bruewer, 16, was not on the plane because she was too ill to fly at the time. 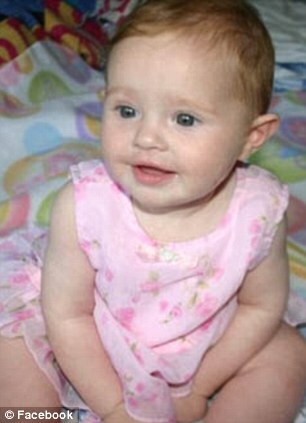 Ashlei lives in St. Louis and was planning to join her mother and stepfather in Florida, a coroner said. Mr Teutenberg owned a software design and consulting company and his wife owned an academy. 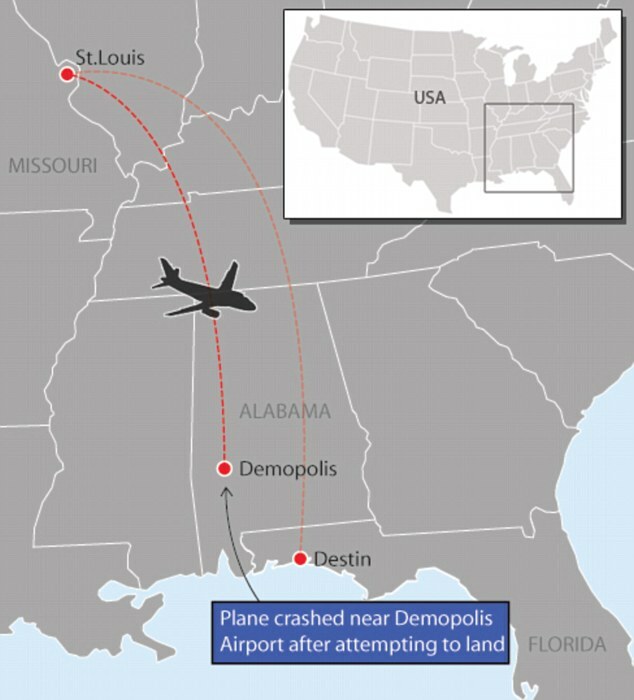 They tried landing the Cessna C421 at an airport in Demopolis, Alabama, after it lost its right engine, but the plane crashed in a densely wooded area nearby. The coroner identified the dead as Fred Teutenberg, 42; his wife, Terresa, 36; their daughter Emma, 2; son Peyton, 4; daughter Ellie, 6; son Brendon, 9; and son Will, 10. 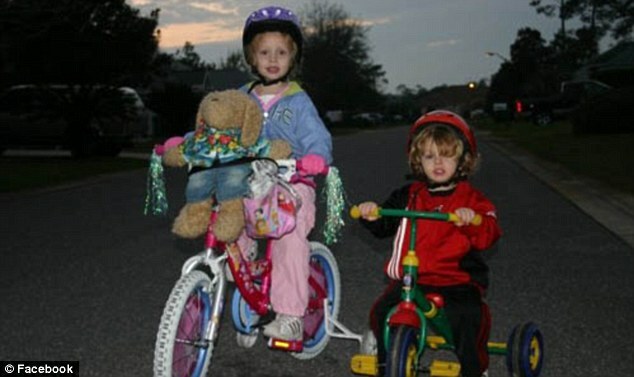 They were from area of Destin, Florida. 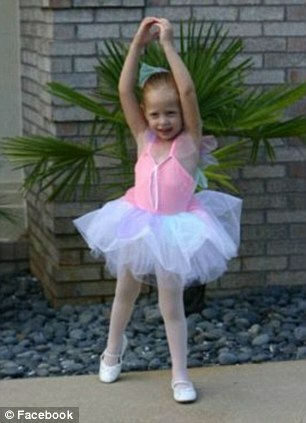 Ashlei told the Northwest Florida Daily News that the children were 'bright and always laughing'. Marengo County Coroner Stuart Eatmon said that relatives told him the Teutenbergs were flying back to Saturday so they could make it to church the next day. ‘I thought I had seen it all, up until this. I've seen small plane crashes with one person, but not a whole family,’ said Mr Eatmon, who was a paramedic for 23 years. The plane was found upside-down and a wing had broken off - apparently as it crashed into trees. 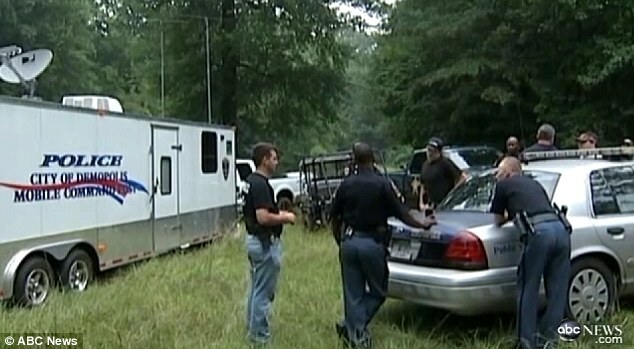 Searchers located it early on Sunday morning. The crash site is only accessible by all-terrain vehicle. Official records show that the plane was built in 1978 and it is registered to Advanced Integrated Technology Solutions LLC in Niceville, Florida. Mr Teutenberg ran a company of the same name. It was a software design and consulting firm, reported the New York Times. A message left seeking comment from the company wasn't immediately returned. Friends told The Northwest Florida Daily News that Fred Teutenberg did volunteer work and played bass guitar every Sunday with the church band at First United Methodist Church of Niceville. 'He not only played with our band, he played with other church bands elsewhere,' said Bob Webb, a friend and member of the church. Mr Eatmon told CNN that Mr Teutenberg was thought to have been flying the plane. He also revealed that it took rescuers hours to recover the bodies from the wreckage because they had to wait for the plane to cool down. Officials had to use an infra-red camera to locate the bodies which were burned 'beyond recognition'. Nick Worrell, from the National Transportation Safety Board which is investigating the crash, revealed it would take a long time to investigate the incident because the wreckage was so deep in the woods. Mrs Teutenberg owned Discovery Learning Academy in Bluewater Bay. An academy spokesman said she was an ‘excellent leader and role model’ and will be ‘greatly missed’ in the community. Mr Eatmon spoke to Mr Teutenberg's father after the crash, who said he had been telling his son to buy a newer plane if he was going to fly with his family. ‘He told his dad the plane had two new engines,’ Mr Eatmon said.